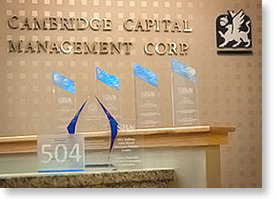 Cambridge Capital Management Corp. manages non-traditional sources of growth capital that businesses need to grow and succeed. Whether you are a lender looking for a partner to help your borrower maximize its loan dollars or a borrower seeking a loan program tailored to your particular needs, Cambridge Capital can provide the programs, guidance, and tools you need. Even if you or your borrower does not qualify for a conventional business loan, Cambridge may be able to offer a loan program that will get the deal done. provides long-term fixed rate financing for real estate and equipment in the form of SBA 504 Loans. offers growth and working capital to Indiana businesses. assists minority-owned businesses in Indiana with growth and working capital needs. focuses on providing venture capital to promising companies located in or within 200 miles of Indianapolis. invests in the economic development of Indianapolis through projects that benefit low and moderate income individuals or aid in preventing slums. produces a quarterly newsletter providing information on loans and loan programs. 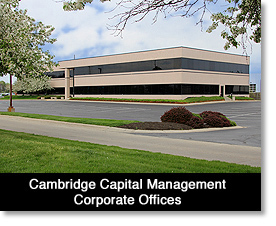 EXPERIENCE THE DIFFERENCE Cambridge Capital has provided millions of dollars to thousands of companies for more than 30 years. We don't just fill out forms or crunch numbers. Our exceptional team uses its collective knowledge and creativity to make GREAT things happen for Indiana businesses every single day.